Please check back for a Russian River retreat this fall. Join me for a mountain getaway full of yoga, hiking, healthy eating, relaxation and all around good vibes! We will be staying on a two unit property located in Mariposa, CA with breathtaking views and lots of fresh mountain air. 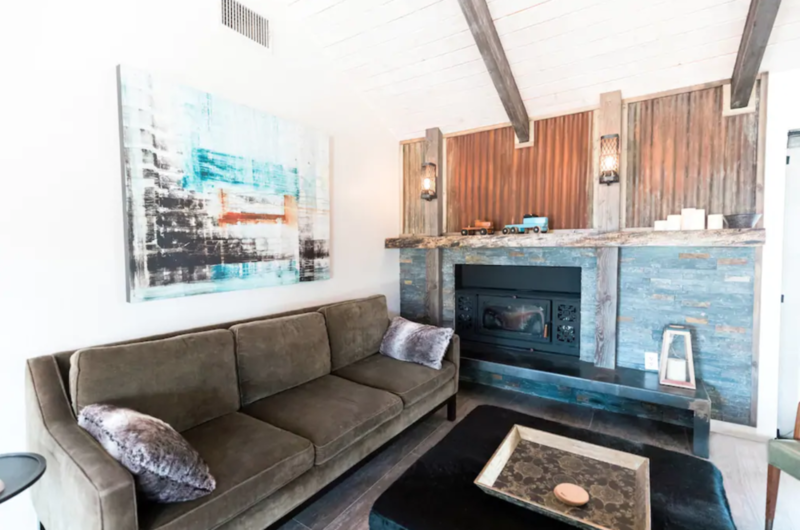 The main house has a newly remodeled kitchen and living area where we will be doing yoga by the fire and enjoying good ol' healthy meals, 3 bedrooms and 2 baths. The rustic cabin features 1 bedroom, 1 full bath, full kitchen and dorm style sleeping on the lower level. Breakfasts and Dinners will be provided - alcohol is not included but you are more than welcome to indulge if you bring your own! Please e-mail me at bryant@omfamilywellness.com with questions and and venmo at bryant-resch or paypal at omfamilywellness.com to reserve your spot. I can’t wait to see you in the mountains! Need to get out of the city and back into nature? Join dear friend Courtney Harris and I for a luxury retreat in beautiful Lake Tahoe! Courtney will be offering yoga & meditation while I offer hands on assists and mini reiki sessions. So let's clear our heads, toast some s'mores and connect with new friends and old. Join me for an hour of high charged, high vibe power yoga after which we will drop to our mats with props and settle into a beautifully sequenced restorative practice designed to reset and restore you just in time for the new year. Power yoga increases strength, flexibly and stamina with it’s faster paced sequencing that will get your heart rate up while focusing on moving to the rhythm of your breath. Paired with an awesome playlist, you’ll easily get out of your head and into your flow. Once your body is nice and warm and your breath is established, dropping into a restorative yoga practice will further deepen your flexibility and quiet your mind while balancing the nervous system, boosting the immune system, enhancing mood as well as repairing tissues and cells in your body. You’ll leave this workshop feeling both energized and relaxed for the new year ahead. The first 5 people to sign up will receive a free essential oil roller ball of either Uplift or Sit Back & Relax.